Founded on the principles of Honesty, Integrity and Character All Junked Up is a new junk removal company committed to making each person or business the most important customer we have. We will bring professionalism, honesty, integrity, humor, and compassion to the junk removal business. We love meeting and interacting with our customers and see it not as a onetime meeting but as an opportunity to build a relationship. We have taken what can be a complicated and stressful process and turned it into an easy and fun experience. We hope that you give All Junked Up the opportunity to serve you and if we already have we thank you for your business! We are licensed and bonded. Hart Brothers Waste Removal is a family owned business that has been serving the Dallas area since 1999. We pride ourselves in providing the most dependable and on time service at competitive rates. Same day service in most cases. We offer 10 and 20 yard roll-off dumpsters, perfect for: New home construction Commercial Residental Home remodeling Spring cleaning Garage cleanout Small construction projects At Hart, we have a long history of working with major contractors, home builders, and homeowners themselves. We-Haul is a Dumpster Rental Business. Family Owned and Operated. 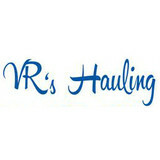 Fast Service Evening Deliveries or Schedule a Day. Great for remodeling, yard clean-up, trees, bushes, etc. Clean our your old to let in the new! Call today and tells us where you want us to deliver your Dumpster! Highest quality Residential, Commercial and office cleaning services. Make ready, construction cleaning and post construction final clean. We work with home Owners, Builders, Flippers, stagers and realtors in getting their facilities to shine for optimal eye appeal, increasing chance to sell or open faster! Demolition Contractor and Excavation Contractor in Dallas/Ft. Worth and surrounding areas. With more than 20 years of Industry experience we understand demolition and excavation is an art and takes careful planning. Sometimes as much care and consideration as building the structure going into the demolition process. For this reason, our primary focus is safety - both for personnel and surrounding areas. WreckHouse Demolition has completed numerous projects in commercial, residential, and industrial settings. What sets us apart from our competition is the unparalleled customer service we provide. Our experienced team selects the best equipment and methods for each project to ensure we stay on schedule, within budget, and safety is adhered to. Dumpster Rental has NEVER been so easy AND affordable! Whether you are a large commercial contractor or a homeowner clearing out the garage, roll off construction dumpsters are ideal for any project size. We offer a range of roll off dumpsters all at an affordable price. Roll off dumpsters are ideal for commercial construction sites as well as for removing debris from home renovations, re-roofing jobs, foreclosures and more. You can choose containers as small as 10 cubic yards, perfect for smaller home renovations or yard waste cleanup, up to 40 cubic yard construction containers holding 5 tons of debris. We also provide recycling services for clean heavy debris, tree or yard debris, scrap metals, cardboard, paper, tires or even plastic. Roll Off dumpsters are delivered by truck to your site and emptied as frequently as you need. Each of our roll off dumpsters are filled from the open top and equipped with heavy pickup hooks and guide rollers with grease fittings for easy loading and unloading. After we deliver your roll off dumpster to you on-site, you fill it up and we will take it away. Junk King provides a full range of junk and debris removal services. Why spend your time doing a dirty, labor intensive, time-consuming job when you can have JUNK KING do ALL the work. Fast, efficient and economical, when you need it gone we get the job DONE! There's no need to box or bag your debris or to drag or carry out it to the driveway or curb. You tell us what you'd like removed, and we take it from there. Our service includes all the LABOR, loading, vehicle expenses and dump fees plus we broom sweep our way out so you can reclaim your domain faster! Junk Guru is a team of dedicated and reliable professionals offering exceptional property preservation, property waste management, and construction/remodeling waste removal services. You will find our service to be of the highest caliber with superior attention to detail. If you need junk hauling, junk removal, trash removal, lawn removal, it doesn’t matter how big or small; we are here to help. Our junk removal services in the Dallas area and Oklahoma City area can be there in a jiffy. We believe that what differentiates us from the competition is the perfect combination of experience in the field along with expertise in dealing with outside customers and investors. We’re convinced that having an enthusiastic and driven management team makes the perfect combination for dealing with the daily challenges of running our operations and that our clients will benefit from our business model. Simply stated, we are the one and only JunkGuys of Dallas and Fort Worth. What started two years ago with just a truck, flatbed trailer, and a dream to rid DFW of junk, has now grown into the premier junk, trash, furniture, and appliance hauler in the Metroplex. With multiple trucks, 14 foot trailers and even 12 foot rentable dumpsters, the JunkGuys are the go to trash cleanup service of Dallas, Fort Worth, Austin, and Houston. DFW junk removal service is not a Franchise nor is it a service thats based across country operating in Texas. DFW junk removal is a local service based in Irving and serve the entire DFW Metroplex including some of Collin and Denton County Cities. Give us a call we do SAME DAY FAST JUNK REMOVAL. What services do junk removal specialists perform? In addition to doing regular trash and bulky item pickups, rubbish removal services will drop off a dumpster or other bin for use during a demolition or renovation project. The homeowner or contractor rents the dumpster for the duration of the project, and when cleanup is complete or the bin is full, the company is notified to haul it away. There are full-service junk removal companies in Lancaster, TX that help with everything from clutter and hoarding cleanups to appliance recycling to donating unwanted items. Keep in mind that you may need professional help removing certain items from your home, particularly if they’re toxic or unstable. Here are some related professionals and vendors to complement the work of junk removal: Tree Services, Environmental Services & Restoration, General Contractors, Home Builders, Landscape Contractors. Who will be working on the project? Are the workers employees or subcontractors? How much do you charge, and what does that include? Do you charge additional fees for the removal and recycling of electronics, appliances, etc.? Do you donate usable items? If so, what organization do you donate to? Find rubbish removal professionals on Houzz. 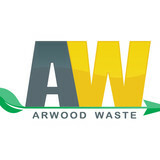 Narrow your search by city or zip code for a list of Lancaster, TX rubbish removal services. Get contact information so you can ask about rates, and read customer reviews to find the best rubbish and trash removal service for your home improvement project.